Problem: 53 Million On-demand workers (1099) on On-demand platforms like Uber, Lyft, Task Rabbit, Instacart, Upwork or traditional 1099 organizations like Service Master, Empire Today etc. lack financial protection like Predictable Income, Paid Time off, Automated Savings like 401k or automated Tax Withholding that full-time employees (W2) have, suffer from income volatility and are unable to manage their complex financial life. Platforms are unable to provide financial benefits or protection directly due to regulatory exposure and risk of being termed "Employer". Solution: Teller provides comprehensive financial protection and manages On-Demand worker's complex financial life for them on a single mobile app with the help of AI & Smart Contracts. 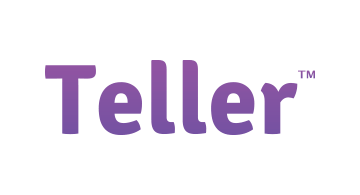 Features: Teller's comprehensive financial protection includes - Full FDIC Insured Banking, Interest Free Cash Advances, Interest Free Time Off Advances, Overdraft Protection across all linked financial accounts, AI Powered Insights and Budgeting, Smart Contracts based Rewards Engine that rewards good Financial behavior and ability for On-Demand Platforms to contribute towards financial protection via it's Smart Contracts based Rewards Engine without Regulatory Exposure. IP: Teller's core IP lies in its data normalization, personalization and AI-powered Credit Underwriting technology that uses alternative/non-traditional data sources as wells as it's Smart Contracts based Rewards Engine that it uses to help On-Demand platforms contribute towards Financial benefits without regulatory exposure. Go To Market: Teller has secured an exclusive partnership with the world's leading Freelancer Community to distribute teller to 375000 of their members this fall. Revenue: Teller's current revenue streams include Subscription Fees & Interchange Fees earned via their Debit Card. Teller has received tremendous interest in its Smart Contracts based Rewards Engine by On-Demand Platforms and will add rewards (Teller Treats) purchased by On Demand Platforms to contribute towards Financial Benefits without regulatory exposure as the third source of Revenue in the immediate future.